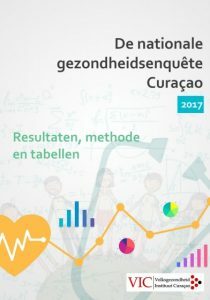 How many people are there in Curaçao with a spinal cord injury? 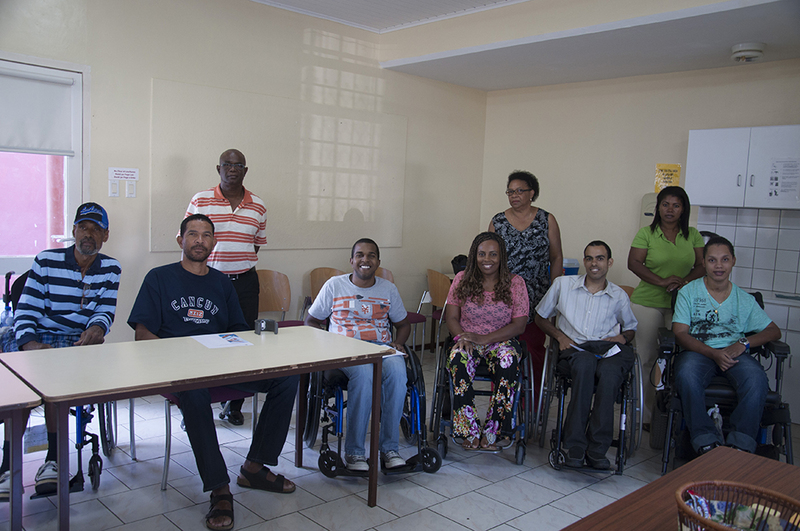 One of the frequently asked questions we get, is how many people there are in Curaçao with spinal cord injury. Unfortunately, throughout years of research, we still haven’t been able find a source with the exact data. You might already be aware that data in Curaçao is still in a developmental stage. We are not there yet. Despite of that fact, we still wanted to try and see how far we could get. Since most spinal cord injuries occur because of an accident, we figured we’d talk to the ambulance service first. When an ambulance service picks up an injured person, they can observe that there might be an indication of a spinal cord injury, but it could also be something else. Most of the time, a bracket is placed around the neck of the person. If they can’t feel their legs or if they can’t move their legs, it is usually a sign that something might have happened to their spine. After taking them to the policlinic (ER), they go through different tests and scans. They also go through an MRI scan, which is the only way a doctor can see if there is damage to the spinal cord. After looking at the scan it can still be difficult to determine whether or not it is a spinal cord injury. It could also be something totally different. Nonetheless, the doctor must give a diagnosis. So, when we spoke to medicals and professional from the hospital, they admitted that there is no digital system yet where doctors can fill in data that can be retrieved at a later time. Most data are filled in on paper and when it is no longer needed, it is archived. We were informed that there will be a new digital system in the new hospital. This should make the process of getting data a lot easier. We would finally be able to receive information concerning the amount of people admitted to the hospital with a spinal cord injury. But we didn’t stop there. After someone is discharged from the hospital with a spinal cord injury, depending on their condition, they are sent to the rehabilitation center to rehabilitate. The center is part of the SGR Group. 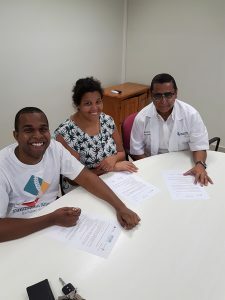 We have a good collaboration with the rehabilitation center, especially because of the Caribbean Spinal Cord Injury congress which we organize jointly every two years. 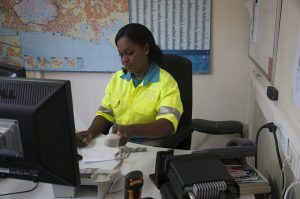 The rehabilitation center digitalized their system in 2011, so we were able to find data that could partially answer the question as to how many people we have on the island with a spinal cord injury. This data shows that from 2011 till 2017, there have been 277 people that were transferred to the rehabilitation center with an injury to the spine. The data also shows that per year we could expect around 40 new injury cases. So, more data is needed to better reflect the current situation. Also, from the points where the data was gathered, we can see the diagnosis but not how the injury was incurred; was it a car accident, a fall or something else? And what about the people who already suffered a spinal cord injury before the digitalization process of the rehabilitation center? You would think the CBS would then be the best option to get more data. From CBS, it became clear that there is no clear data to be found anywhere to indicate how many people have a spinal cord injury. After they conducted their own research, they concluded that we can use the data we got from the rehabilitation center as official data. So, it gives a broader picture than just that of people with spinal cord injury. What we did learn during the past two years, is that the figures regarding people with spinal injuries are growing. There is a neurosurgeon who has been working on the island for the past three years and she noticed that she’s getting a lot of people with similar symptoms and conditions. After tracking all of occurrences, she noticed that there are many people with a condition called cervical stenosis. This is when the spinal column becomes narrow and starts to compress the spinal cord because of the smaller space. Some people start to feel numbness in certain parts of their body, have difficulty balancing properly or fall easily. These are some of the symptoms that indicate a person might have a cervical stenosis. The neurosurgeon suggests visiting a neurologist to better see the condition of the spinal column and determine if treatment is necessary. Meanwhile, the neurosurgeon will continue doing research to understand this condition better.